A UK language expert said it showed "it's not about what you say, but how you say it". They looked at the interviewers' speech rates, fluency, and pitch, and then at how successful they were in convincing people to participate in the survey. The researchers, led by Jose Benki, an expert in the psychology of language, said people who speak too quickly are often seen as "out to pull the wool over our eyes", while those who talk very slow are seen as "not too bright or overly pedantic". The study, funded by the US National Science Foundation and presented to the American Association for Public Opinion Research, also found people thought too much variation in pitch "sounds artificial" and "like people are trying too hard". Finally, the team found interviewers who paused frequently - around four or five times a minute - were more successful than those who were fluent. The team suggest they sounded "too scripted". Dr Rachael-Anne Knight, senior lecturer in phonetics at London's City University, said prosody - the rhythm, stress, and intonation of speech - was key to how what people say is received. 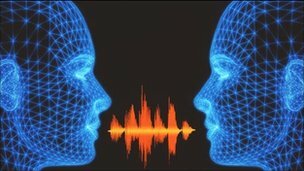 "These features can give us a great deal of information, including how the speaker is feeling at the time and how they feel towards us, the listener. "For example, we have all experienced situations where someone's words could have been taken a number of different ways, but their tone has offended us, hence when people remark 'it's not what he said, it's the way that he said it'. "Speakers aren't always aware of the different ways in which their prosody can affect their message, so this research is useful in that it identifies some practical ways in which people trying to get others to participate in telephone surveys might improve their success rates. "It might also have applications to the service industries, and potentially to all kinds of real-life situations".